Gadget lovers have been waiting so long for 25th September and they can’t just wait long enough to grab the new update of Apple for their Mac OS. It is named as High Sierra, it sounds like a small upgrade. If you look more closely, you will find it bigger because they had made huge changes under the hood that make them develop future Mac OS versions. 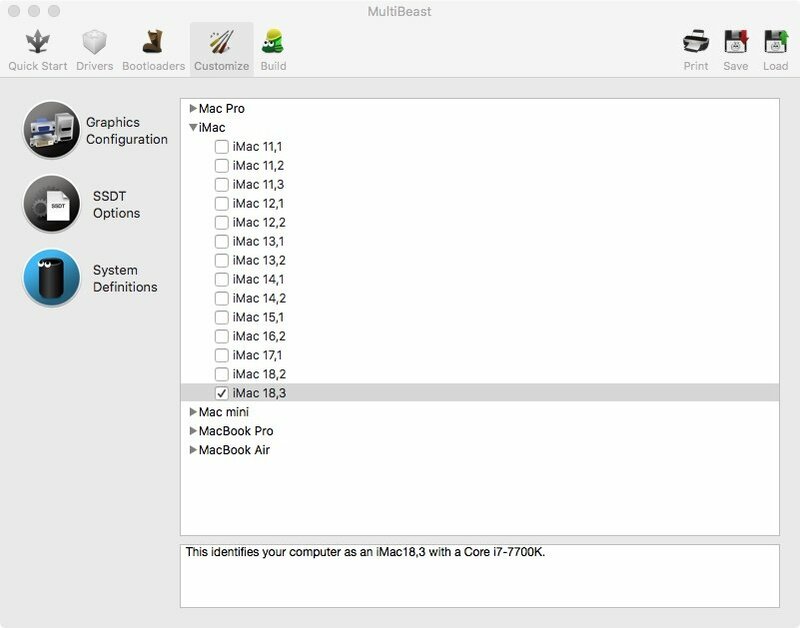 In the last couple of months, I wrote an article to guide on how to install Mac OS Sierra on H270N Wifi. 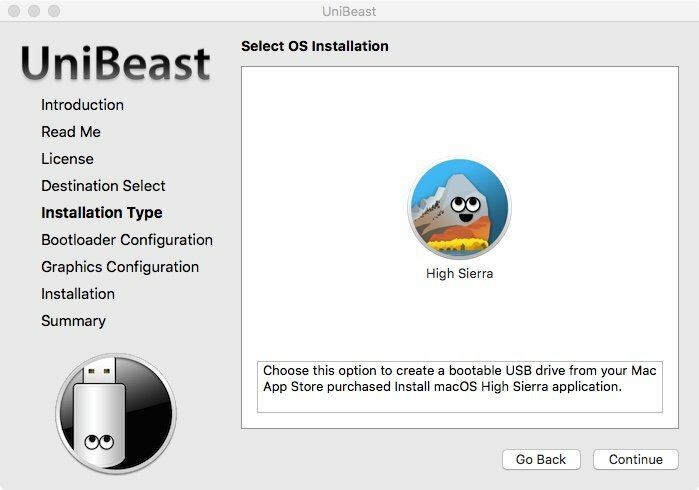 This article is to guide those who need to install Mac OS High Sierra on their Hackintosh. Let’s get started. 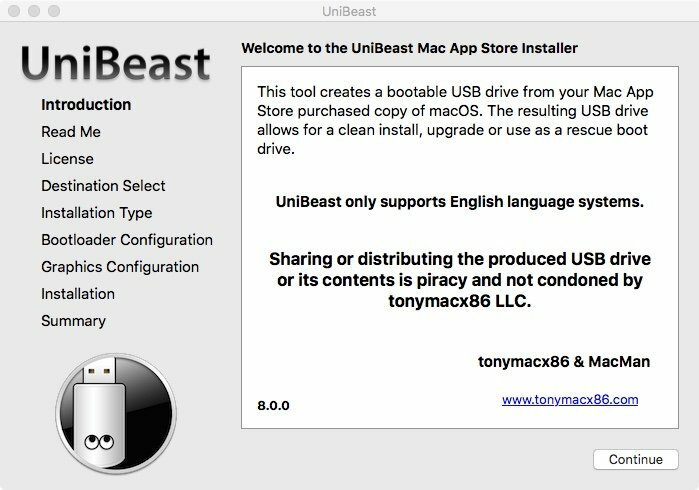 This installation is so easy because Tonymacx86 released the new version of Unibeast and multibeast so it is easy to install Hackintosh on your PC. Still, you need some patience to install it as it is still in the development stage. Many people reported that they can’t install High Sierra on their systems. New APFS file system makes it difficult to install. These are the configurations of my mackintosh build. It is an HTPC which doesn’t have any graphics card, I’m using the Intel HD Graphics. All functions are working as expected on the new Mac OS High Sierra. These are the main things that a Hackintosher may reach for. I can’t test these functions. One thing I can clarify that Sleep and Wake functions will not work with the integrated Graphics card. If you need sleep-wake function then you need to buy a discrete graphics card. This is the most important step which you shouldn’t ignore. Read it carefully and make changes to your build. You need to download some files to get things work. These files are necessary for the entire session of the Mac OS installation. Working Mac or Hackintosh without this you can’t move forward. 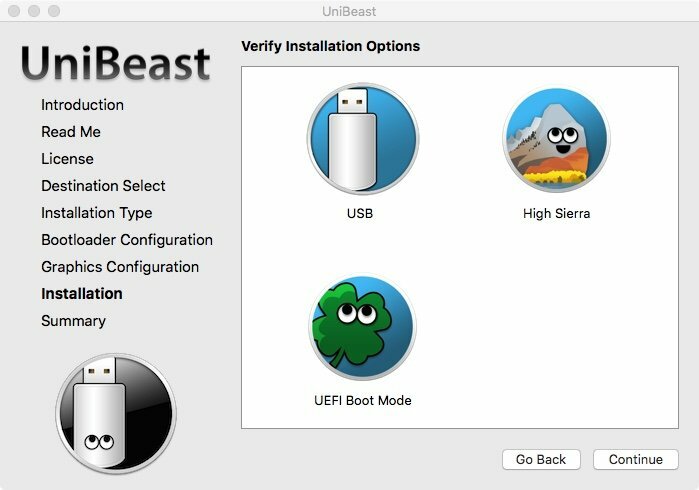 This is the method to install Mac OS high Sierra on your computer using a USB stick. Follow these steps properly to get high Sierra installed successfully on your hack. This step is very tricky, If you make any mistake in this step it may cause you more trouble. So follow the instructions carefully. Copy your macOS High Sierra Setup on the Application folder of your mac. Six: This step will take little longer to finish after the completion your USB is fully bootable. Now your USB Stick is fully bootable. When you arrive at the Installer, choose the language. 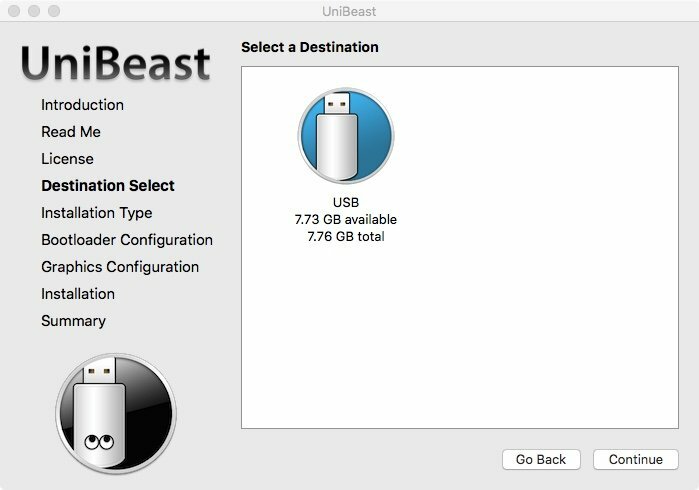 Highlight your target drive for the High Sierra installation in the left column. Highlight your target drive for the Sierra installation then click continue. 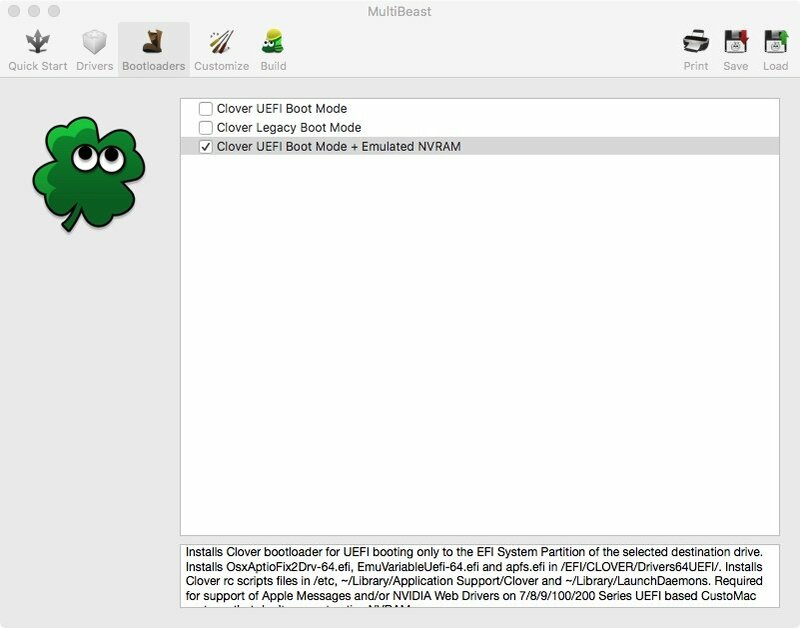 From clover screen select HDD and it will start the installation. sometimes it suddenly reboots your computer just ignore that, when it reboots boot through the USB drive then select HDD again from the clover boot screen. Complete Your installation it will take some time to complete. After the installation is over you have to install all the necessary apps and kexts. 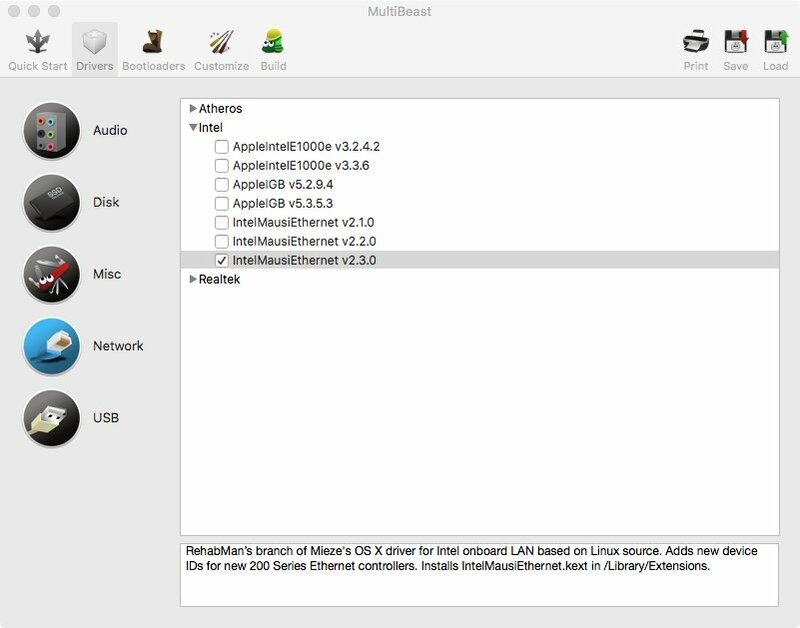 For that, we have the Multibeast that can install all the drivers that needed for Mac OS. 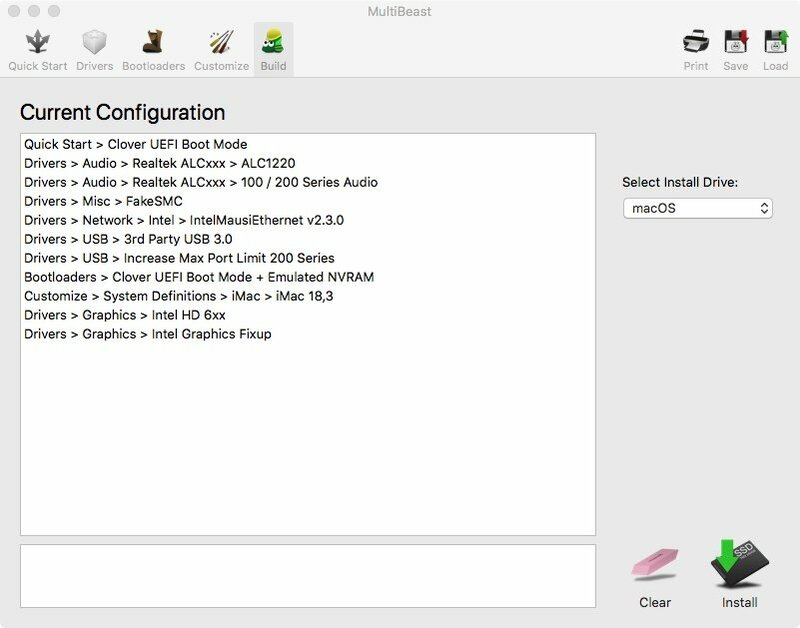 Follow the steps in Multibeast to install kexts and apps properly. 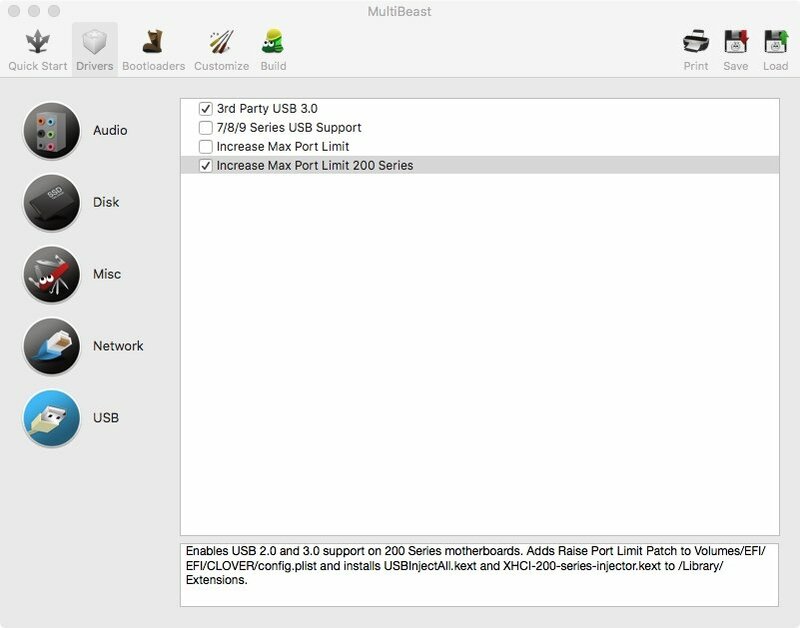 First Step: Open Multibeast and then select Quickstart. 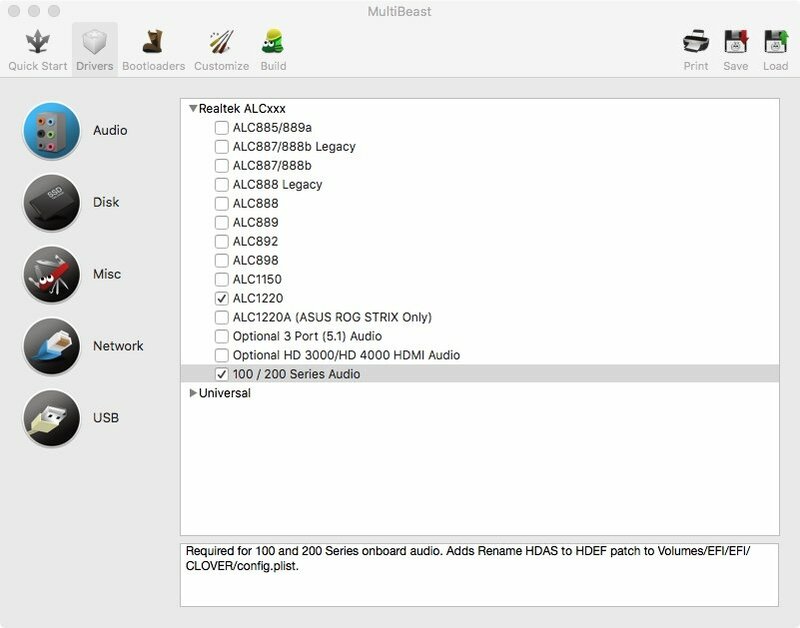 Step 2: [Audio] Select these two options or else choose the codec that suites your motherboard. Step 3: [Network] Choose your network driver here. Step 4: [USB] Select these two option to get all ports of your computer get worked. 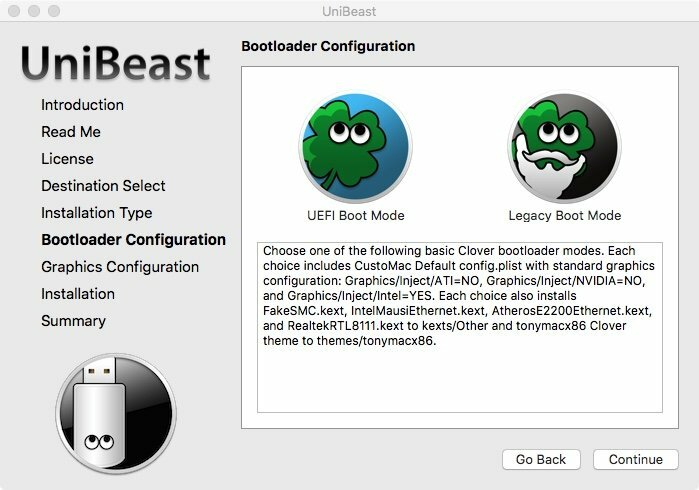 Step 5: [Bootloader] Select the third option to work some graphics accelerations and iMessage. For I message you have to do some more steps you can find those steps below of this post. keep reading. Step 6: [Graphics] Select the proper graphics configuration below. 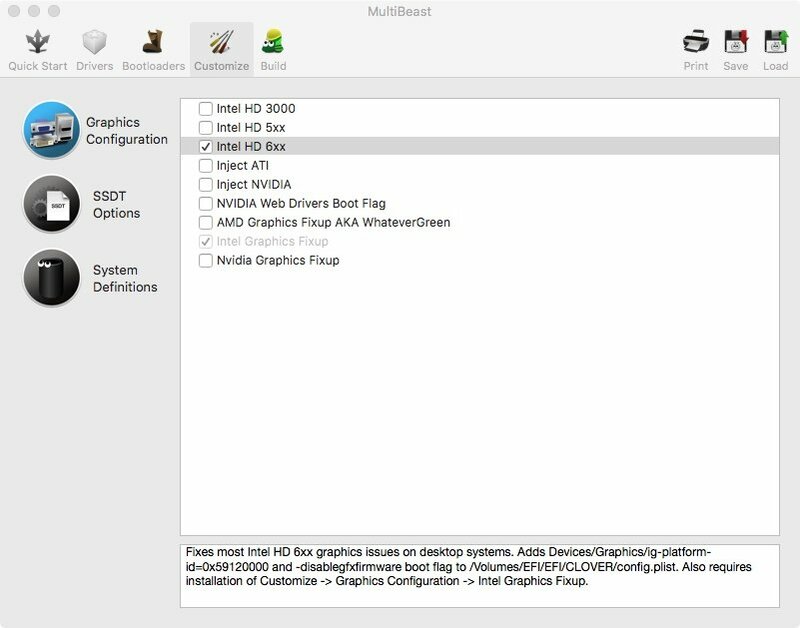 if you select NVIDIA graphics then you have to install NVIDIA Web driver also you have to select NVIDIA Graphics fixup. Step 7: [SMBIOS] From this step select the SMBIOS and click continue. Final Step: Here is the final step that shows what we selected, confirm that you have selected all the drivers if you selected all the drivers then click Install. After the installation is completed you can safely remove your USB drive and restart your computer and boot through the HDD now it will boot from your Hard disk. NVIDIA users need to add NVIDIA Web patch the same method that you used in Sierra. NVIDIA Web drivers for High Sierra is now available to download. 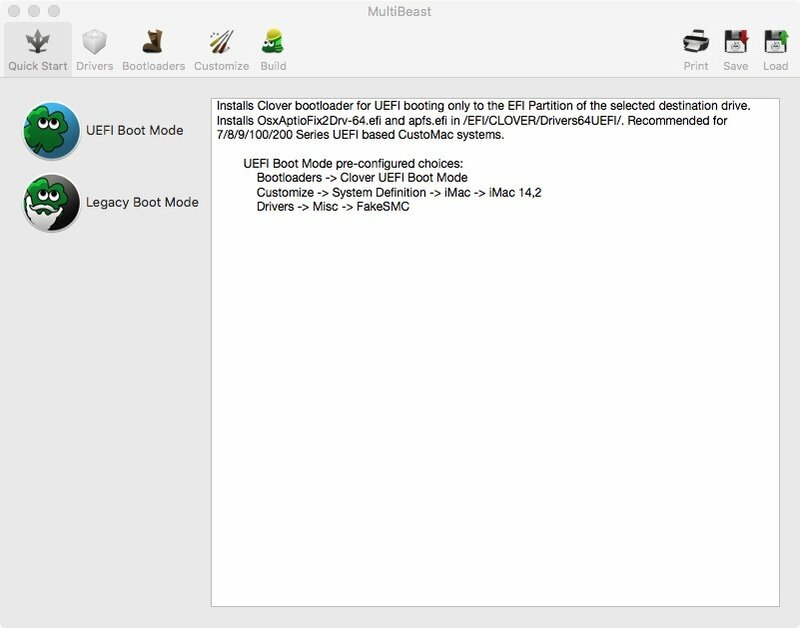 note: install web driver before you restart your computer after the Multibeast post installation, otherwise your system will not boot properly. If you don’t need to fresh install the OS then you can try this method. 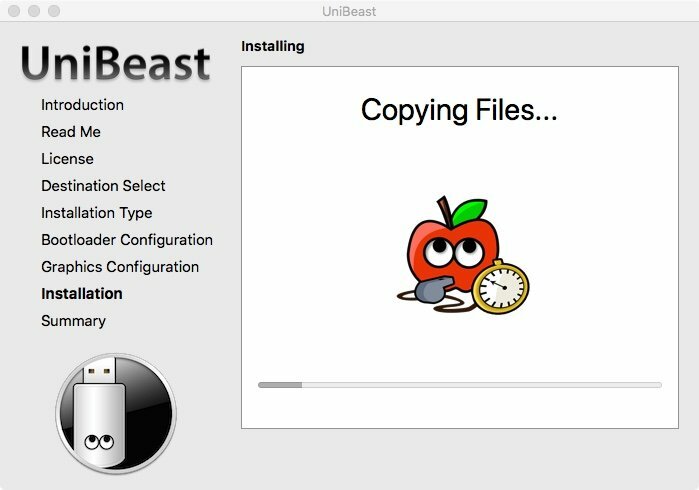 Before you start I recommend you to make a backup using Carbon copy. Follow the below instructions to update your current operating system to Mac OS High Sierra. Open Install Mac OS High Sierra from the Application folder and follow the instruction. While upgrading your system will restart several times so keep calm. It will take you to the Desktop after sometimes. After the installation, it will show you the final configuration complete it then you are good to go. Now you have the successfully working High Sierra. Also, you have the USB stick that fully bootable so keep it safe so you can easily reinstall macOS if anything happens in the future. I will update this article whenever a new update or patch becomes available. Until then keep reading this. Have a great day.